One of the great differentiators of MSR Communications company culture is that the firm doesn’t require its employees to account for every activity performed during the day to the 10th or quarter of an hour, or some similarly granular level. By contrast, many midsize and large PR agencies have their employees list out everything they did in a given day in such minute detail in a formal time tracking system, known as “time entry” in my large-agency days. Account managers can then generate spreadsheets of everything a team has worked on for a client, which can be used to prepare activity summaries that accompany monthly invoices to illustrate all the great value the firm is delivering. On paper, time entry seems to help optimize employee efficiency and weed out non-performers. Depending on the employer’s minimum hourly requirement, management can see if workers are giving their five to eight productive hours. Output is measured in hard numbers, so if one employee is taking two hours to write press releases on average, while another generally needs three, the former is theoretically more productive. Moreover, employers aren’t paying their charges for lunch breaks or surfing ESPN.com, unless there is a legitimate work purpose. And, yes, these programs can protect firms legally, especially ones that serve Global 1,000 companies; if firms are ever sued they can build better cases when account activities are compiled in such fine detail. Unfortunately, like many facets of life, time entry doesn’t play out as cleanly or work as effectively in reality as it does on paper. You see, in an environment like a PR agency — unlike, say, at a bottling plant — eight hours of work doesn’t necessarily equal eight hours of measurable output. It’s not atypical to be interrupted by a coworker or phone call for five to 10 minutes while working on a press release or other document. It usually takes at least a minute or two — more if you’re dealing with particularly complex subject matter — to regain your train of thought. PR folks will commonly experience a handful of similar pauses on the road to completion — to respond to time-sensitive emails, attend webinars, read important articles or review presentations sent by clients or superiors, for example. 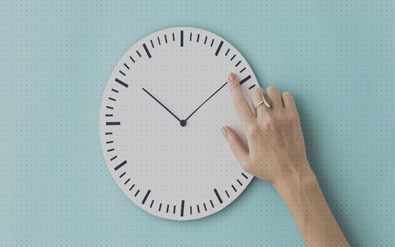 Add up the time lost to resuming your activity after each of these interruptions and you might have 30 minutes or more that can’t easily be quantified in a time entry program. Time entry also doesn’t take into account the widely different natures of individual projects or accounts. Some are more technical than others and take more time to master. Some clients give you less-compelling content or incomplete or improper context, which can further decelerate progress. Thus, media lists, press releases, contributed articles, research and all of the other initiatives that occupy our time can’t really be compared in apples-to-apples fashion. Most important, time entry doesn’t reflect human nature. For one, many projects entail struggle. For example, one might spend an hour going back and forth on different concepts for a blog post. Although this work doesn’t necessarily yield a tangible deliverable, it plays an invaluable role in laying the groundwork for the actual composition of the piece. Even the best of PR pros (and journalists, for that matter) generally encounter “writer’s block,” but crystallizing these efforts in time entry sure makes you look lazy, which is unfair since it’s an honest attempt to work, critical to the process and largely an unavoidable fact of life, at least until AI technologies produce robots that compose pieces with perfect efficiency. There are more examples of human nature failing to translate well in time entry. A simple three-sentence email may look like it should take a minute to put together, but sometimes this is far from the case — for instance, it can take several rounds of internal correspondence to gather a response to a prickly client’s question about a deadline. One might debate potential edits to an analyst deck for 30 minutes, then ultimately decide not to make changes. An afternoon brainstorm might produce an idea for a launch that eventually gets scrapped further down the line — a legitimate part of the process, but one that looks costly and wasteful when jotted down in the system. Have you ever stared in the mirror in a room lit exclusively by black lights? Every pimple, rash, abscess, boil, sore and any other facial irregularity gets surfaced making otherwise average-looking people look like they auditioned for this Skittles commercial. Looking at your day’s work broken down so finely in time entry has the same effect; all of the minor errors, inefficiencies and blemishes (including some not in your control) that are part of the job (and endemic to the human condition) suddenly feel like Watergate, Volkswagon’s false emissions tests or the Exxon Valdez oil spill. This isn’t to say that we at MSR don’t track the time we’re spending on accounts or illustrate our work to our clients through status reports. We do, but just not at the molecular level sought by other agencies. Because at the end of the day, clients get value from execution of day-to-day responsibilities, not the accounting of them. Spending two or more hours trying to piece together every last bit of the minutiae of your week just seems like a waste of time.